When it comes to your sixth form common room, it’s important that your students feel that the space belongs to them. A common room is a place to escape to, a place to enjoy the company of friends. It shouldn’t be a room that looks identical to any other in your college, with just a few chairs and tables. If it is plain and boring it’ll be rarely used. Pool tables are available in a variety of different cloth colours, so why not opt for one in a bright and daring red, purple or blue? Renting a pool table could cost less than you think. 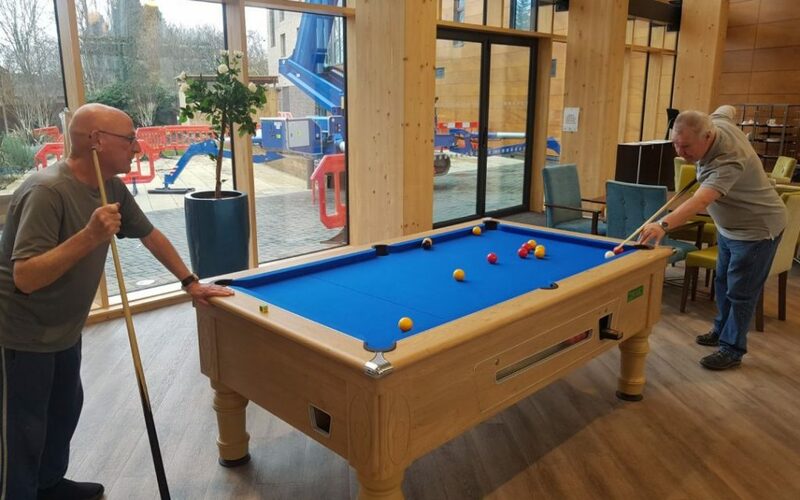 We recently provided Altrincham Grammar School for Boys with a pool table for their sixth form common room and it has been a huge hit. A pool table can encourage quieter students to come out of their shells. It can allow students to enjoy some healthy competition and mix with people they mightn’t have spoken to, had there not been a pool table. Encouraging the students to run knock-out competitions could help increase the social element of your common room. You’ll want some standard chairs for students who want to sit at a table and study but the rest of the chairs should be comfy and eye catching. Why not have a couple of sofas and beanbags? If you opt for a modular sofa the students will be able to move it round into different configurations. On the walls of the room, why not have some murals and quotes from inspirational people? Quotes to make them work hard and reap the rewards. If you have any former pupils who have gone on to have outstanding careers they could be featured too. If possible, have a toaster, coffee machine and fridge that the students can use. Being able to make themselves a few rounds of toast and brew whenever they like will go down well and help encourage the students to visit the common room in their free periods. A vending machine might also be a good idea. The common room should be a place to chill out in, so have a CD player or juke box that the students can use. A flat screen TV on one wall is a must, students want to be able to switch off and having a TV can help them do this. It’ll be well utilised whenever there’s a big sporting event in college hours. To find out more about our pool tables and juke boxes don’t delay, give us a call on 0161 870 7777 or fill out an enquiry form. Do you own a retirement home or village? Perhaps you’re looking for ways you can make your communal areas more inviting to your residents? Installing a pool table could be the answer, whether you choose to rent or buy. 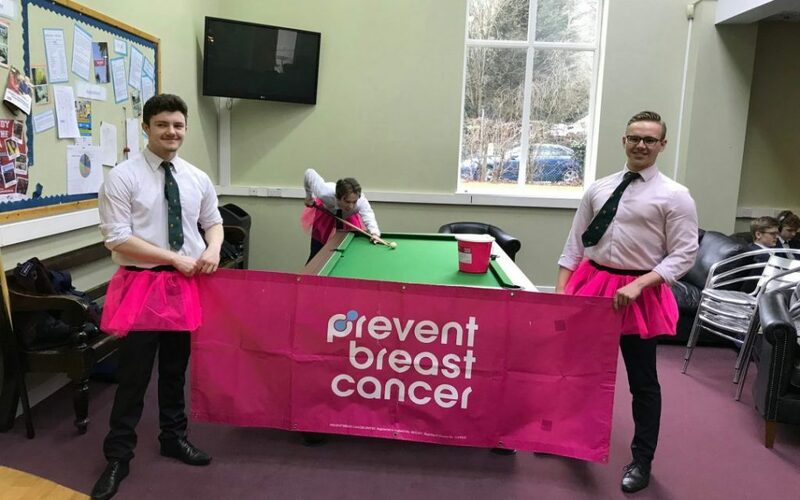 We recently put a pool table in Heyeswood Retirement Home and it’s been a big hit with the residents. Not only has it allowed residents to have some fun, whether they’re playing or watching, but it’s having a positive impact on their health too. Why is playing pool good for you? Helps build focus and concentration. Can help you stay flexible and boost your stability (reducing your chances of having a fall). Can tone up your back, leg and hips. Good for your mental health. Stops you from being passive. Sitting for prolonged periods isn’t good for you physically or mentally. Can help you make friends. Playing pool might be the highlight of your residents’ day. It gives the opportunity for residents to come together regularly, why not have a monthly pool competition? Visitors to your retirement village or home could enjoy playing too – pool appeals to people of all ages. We stock tables with different cloths so you can choose a pool table with a traditional green cloth or opt for something different. Why not choose a cloth to match your décor? Hiring a pool table could cost less than you think. Give Manco Automatics a call on 0161 870 7777 today. We could have a pool table in situ within a matter of days.